So glad this book was added to the PPLD collection! The illustrations are incredible. The glossary is amazing! Must read!!! Ooh! While this book is about the trip a brother and sister make to the zoo, it’s also about words with the letter pair OO. It’s cool. 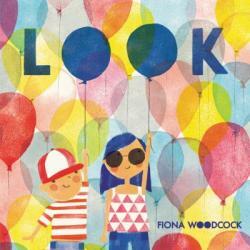 It encourages you to look at balloons, kangaroos, and more, just look! This book is amazing and empowering! 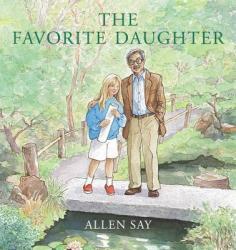 It is a great children's book about how to have pride in your culture. Good book for girls and boys! A must read! Evan and his dog did everything together. They shared many adventures and created a beautiful garden, but when the dog passes away Evan is devastated. 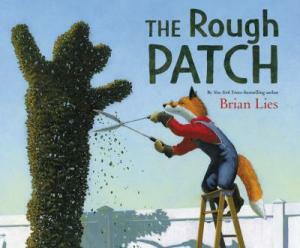 The Rough Patch, by author/illustrator Brian Lies, would be a wonderful place to begin a discussion about death and grief with young children. Children and adults will identify with Evan and how he works through his sorrow. 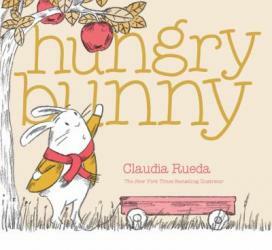 This beautifully written and illustrated picture book for ages 3 - 10 is a 2018 Caldecott Honor winner. 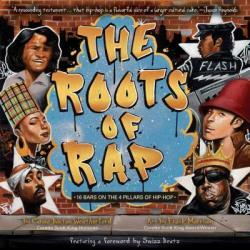 My boys and I loved reading this book over and over. 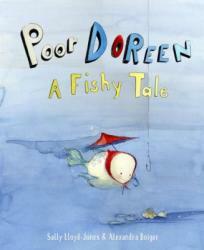 The story line begins with Doreen the fish heading off on an adventure to visit a family member. She ends up where she wanted but there were many unusual adventures along the way. We laughed at the cleverness of the author's story and enjoyed learning some of the alphabet that was hidden the illustrations. The pictures really enhanced the story and the kids interacted with the story as we read. It was delightful! From the cutaway of the inside of a lighthouse to the rescue of shipwrecked sailors, Hello Lighthouse, a beautifully designed book by Sophie Blackall, is sure to fascinate children and the adults who read to them! Intriguing illustrations and information illuminate the daily life of lighthouses and their keepers. 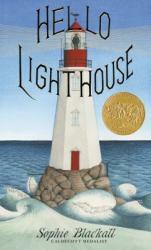 Hello Lighthouse is the 2019 Caldecott Medal winner. 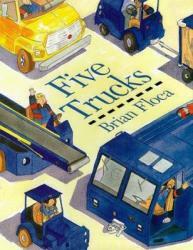 It is just right for repetitive readings for children ages 4 - 10. Mom is fed up with her rambunctious kids but somehow she silently supports their active play as they build a bike out of junk and proceed to ride it up and down, all around and even through the house. 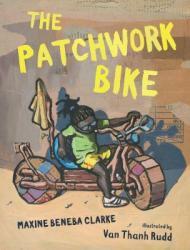 Patchwork Bike by Maxine Beneba Clarke and Van Than Rudd is a vivacious celebration of childhood play. The illustrations are created with paint on a cardboard box and the texture and motion they create is the perfect complement to the sparse but active text. Take a look at the end papers to see how a stroke of paint can create vibrant motion. 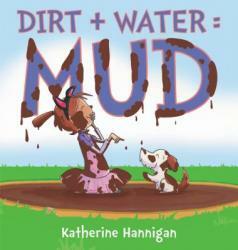 This is a fun read for kids 3 – 7.